During my recent participation in My Selangor Story 2013 programme, I stayed at 4 different hotels, namely Premiere Hotel (Bandar Bukit Tinggi, Klang), Arenaa Star Luxury Hotel (Kuala Lumpur), Golden Palm Tree Iconic Resort & Spa (Bagan Lalang, Sepang) and Vivatel (Kuala Lumpur). The following is my review of Arenaa Star Luxury Hotel. 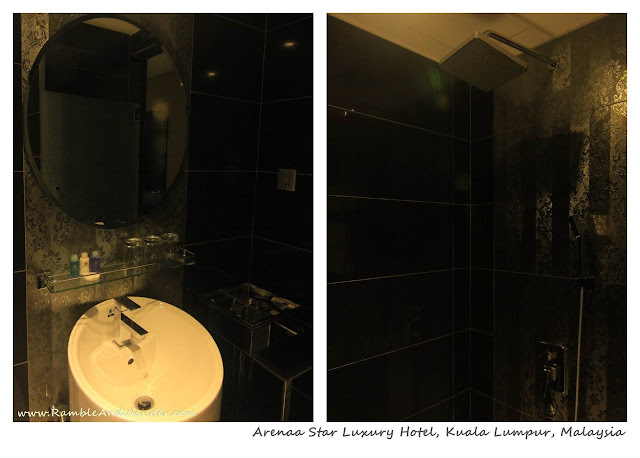 Arenaa Star Luxury Hotel is a 4-star hotel that is located in an area close to Chinatown in Kuala Lumpur. It is a very new hotel (some of the rooms were still being refurbished at the time of stay). The location is ideal if you’re looking to stay close to Chinatown, Pudu Sentral, Central Market and Dataran Merdeka. All of us My Selangor Story 2013 (MSS2013) participants arrived together at the hotel early in the evening following our journey from Sunway Lagoon. Upon our arrival, our luggage was promptly picked up and soon enough they were tagged with our room number for delivery. It was a good first impression. The hotel lobby is spacious and colourful, with plenty of seating areas made up of a variety of sofas and seats. The hotel has well over 150 rooms, each floor with different themes. Ridha and I were given a Family Star room, which has a queen bed and a single bed. The room is roomy enough, complete with a bedside table, a work/ dressing table and a wardrobe. The room has tea/ coffee making facility, a telephone, an LCD TV, a safe box, a hairdryer and a minibar. The mattress and bed are comfortable. Linens and towels are okay. The bathroom (shower only, no bath tub) is of a good size. Hot water is available. Toiletries are provided. Bathroom door cannot be locked however. Overall the room is well furnished and comfortable and should be good for both business and leisure stay. Breakfast is served in a bistro called Harry’s Bistro on the mezzanine floor. The bistro is quite small but looks comfortable enough with interesting art deco theme. We however didn’t have breakfast at the hotel as we had to leave early in the morning for Batu Caves the next day. Internet access is available for free via Wi-Fi at the hotel. Surprisingly there was no Wi-Fi signal in the lobby when we were there but we did get the signal while staying in the room. The hotel has just opened for business. Once the hotel is fully ready, it would have a spa, a wading pool as well as a fitness centre, which are all going to be located on 11th floor. We just stayed at the hotel overnight and didn’t get the chance to explore the surrounding area for food. This being in the city centre of Kuala Lumpur however, there should be plenty of eateries around the area. Being in Jalan Hang Lekiu, which is just off Jalan Raja Chulan, means that Arenaa Star Luxury Hotel is well located for public transport. Pudu Sentral is about 5 minutes’ walk away while Masjid Jamek LRT Station is also about 5 minutes away. The free Go KL Shuttle Bus also has a stop very close to the hotel. 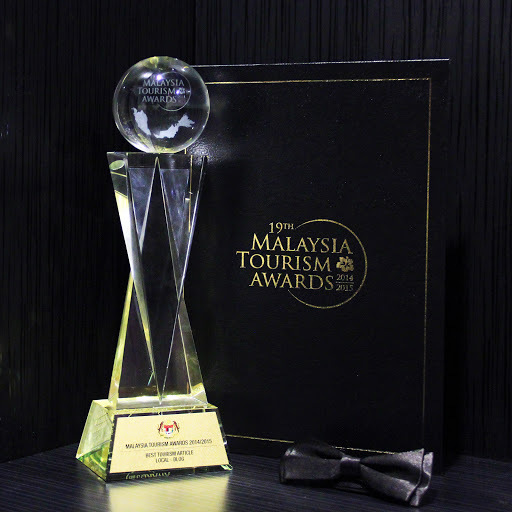 I would like to thank Tourism Selangor and the organiser for My Selangor Story, AstuteXperience, as well as the management of Arenaa Star Luxury Hotel for the arrangement to stay at the hotel. The stay was sponsored as part of My Selangor Story 2013 programme. The sponsorship however has in no way affected my review of the hotel.